Health and fitness-related gadgets are emerging as a huge trend at this year’s CES, and several companies used Monday evening’s Digital Experience press event to demo their offerings. One of them was iHealth Labs, here talking up two new products: a gadget that measures blood oxygen levels and a new gluco-monitoring system. The company has already made a name for itself with wireless blood pressure monitors for wrist and arms, and digital scales that measure weight, body fast, muscle mass, and caloric intake. But these new products focus more on health than fitness. 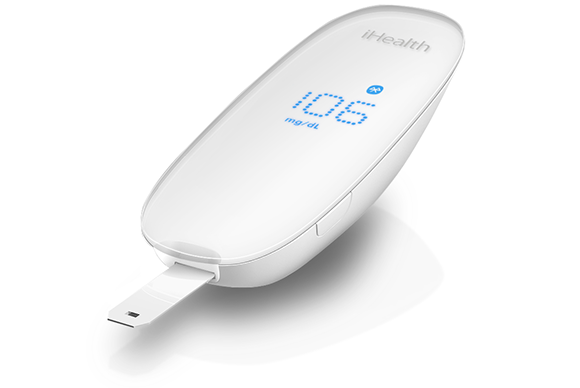 The iHealth Pulse Oximeter (shown above) measures pulse rate (BPM) as well as blood oxygen saturation via a lightweight and portable device that clips to a user’s fingertip. The device uses Bluetooth to take non-invasive measurements, and the results are displayed on an LED screen. 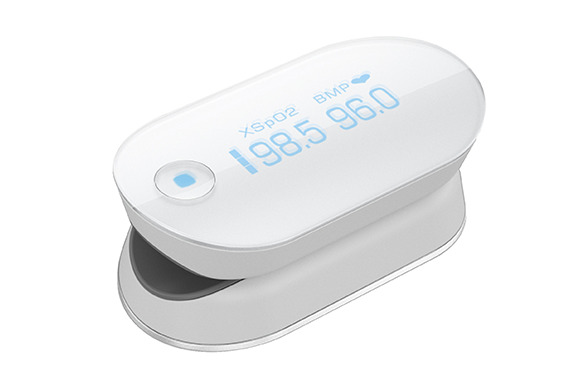 Useful not only for athletes but also for those with breathing problems, heart issues, or other health concerns, the Pulse Oximeter provides a quick and painless way to track blood oxygen levels. which measures and records blood glucose levels and shares the information via a Bluetooth connection with iOS devices. The system can also track blood glucose trends over time, and can automatically remind users about medication schedules and test strip expiration dates. Both products are expected to be available for purchase later this year.